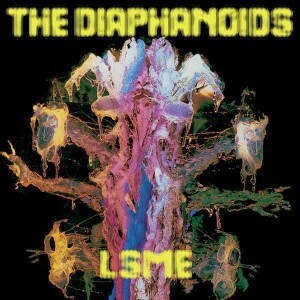 The Diaphanoids are the Italian duo of Andrea Bellentani and Simon Maccari, who play a craftily constructed and absolutely brain frying blend of Trance, Acid-Psych, 70s Krautrock and Space Rock, and they throw in the kitchen sink for good measure. infusion and more fun use of multiple effects. You Can’t Shine If You Don’t Burn eases the pace a bit, alternating between dreamy cinematic melodic drift and Psychedelic cacophony and effects. Track 4, with a title nearly as long as this entire review, is a dreamy, droning atmospheric piece that is simultaneously floating and intense, with space-orchestral soundscapes, sitar(ish) drones and mind-bending Psych guitar. Then we’ve got The Blackest Sun, which sets the melody from The Beatles’ Within You Without You to a drugged dance beat, wailing Psych guitar, freakout violin, frenzied oscillations, drifting soundscapes and a banquet of effects. Our Own Private Elsewhere is like the Space-Funk soundtrack to an alien detective flick. And These Nights Wear Three Heads Five Arms And Ten Legs is a frenzied Acid-Space-Metal head trip that closes the set. Wow, what a ride. The entire set is only about 40 minutes but you will feel more than satisfied and nicely disoriented. Recommended.